Leading grocery co-operative Foodstuffs North Island (FSNI) has appointed the experienced Spark New Zealand leader Chris Quin as its next Chief Executive Officer. 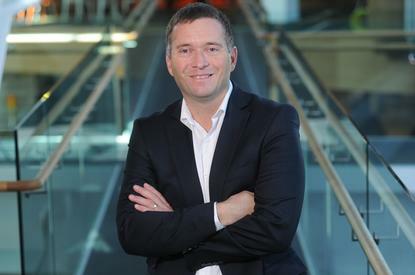 With a 25-year track record in leadership roles, primarily within the IT and telecommunications sector, the announcement follows Quin’s decision to leave the telco in January this year, as reported by Computerworld New Zealand. Since 2012 Quin has been Chief Executive of the Home, Business and Mobile division of Spark, serving Kiwi consumers and small businesses through call centres, online and a franchises network of 120 stores and business hubs. Quin resigned from Spark in January this year and finishes at the end of June, before commencing as CEO with Foodstuffs on September 7. FSNI Chairman Peter Anderson says Quin has the leadership skills and business experience to take the co-op into a new phase of excellence in meeting the needs of New Zealand shoppers. “Chris is a Kiwi with the leadership qualities to take Foodstuffs North Island to the next level over the coming years. The co-op will be well-served by his people skills, track record in bringing teams together and growing substantial businesses. “Chris understands the Kiwi consumer and the role of technology in serving them – these are essential ingredients in the changing landscape of grocery,” he says. “We undertook a global search and engaged with strong candidates from New Zealand, the UK, Europe and the US. Quin says he is “delighted” to join Foodstuffs North Island which employs more than 22,000 people. “Foodstuffs is a highly respected co-op that has served New Zealanders for over 90 years,” he adds. Quin received a Sir Peter Blake Leadership Award in 2010 for his leadership achievements and contribution to the community and is also chair of the business growth hub The Icehouse. Current CEO Murray Jordan will remain at the helm of FSNI until Quin joins the company in three months. Foodstuffs North Island is number five in this year’s CIO100, the annual report on the top ICT using organisations in New Zealand. Foodstuffs Auckland Limited and Foodstuffs Wellington Co-operative Society merged to form a new company – Foodstuffs North Island Limited – in 2013. Foodstuffs North Island now employs more than 1900 staff to operate the support centres and distribution centres that support its 40 Pak’nSave, 98 New World and 205 Four Square supermarkets. On top of this, support is provided to the Gilmours and Toops wholesale stores and 55 Liquorland stores, bringing the total number of employees in the business to more than 23,000. Sister company, Foodstuffs South Island Limited, continues to trade as a separate entity. An ongoing focus for the IT team is Foodstuffs’ long-term transformational program to build the future platform for its business, called Program Lightning. Lightning aims to ensure the company has the right products in the right place at the right time, providing its members with timely information about their business and its customers with the best possible shopping experience.